Hebbronville Station agents received a report from the Jim Hogg County Sheriff’s Office shortly after midnight on February 3 about a migrant who called 911 and said he was lost. The migrant also advised that he suffers from diabetes, according to Laredo Sector Border Patrol officials. Utilizing GPS coordinates obtained by the local sheriff’s office, agents moved quickly to the area located about 30 miles from the Mexican border to conduct a search and rescue operation. The agents located the lost migrant after about an hour of searching. A U.S. Border Patrol agent trained as an Emergency Medical Technician evaluated the migrants and determined he needed to be transported to a hospital for treatment. The migrant informed the agents that he was a Guatemalan citizen who entered the U.S. illegally. He also told the agents he became separated from another who was also lost. He advised that he left the man behind about 30 minutes earlier. While one group of agents transported the ailing migrant to a hospital in Laredo, Texas, the remaining agents began another search for the newly reported missing migrant. The agents searched for an additional two and a half hours before locating the migrant about two miles south of the first rescue, officials reported. The migrant admitted that he was also a Guatemalan national who illegally entered the U.S., officials stated. The Border Patrol EMT assessed the migrant and determined he was suffering from dehydration. The agent administered fluids via IV and arranged for transportation to the hospital in Laredo. Doctors in Laredo treated and released both migrants to the custody of the Border Patrol agents. The two migrants will be processed according to Laredo Sector guidelines. 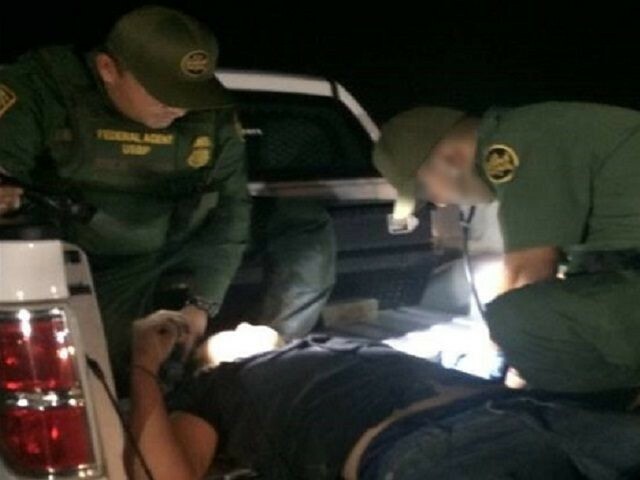 During Fiscal Year 2018, Border Patrol agents carried out more than 4,300 migrants from life-threatening situations like the two migrants rescued in this case, Breitbart News reported. In addition to the rescues, nearly 400 other migrants lost their lives while crossing or shortly after crossing the border illegally from Mexico.